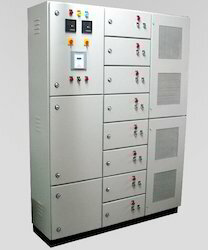 Prominent & Leading Manufacturer from Ghaziabad, we offer power factor control panel. To serve the requisite demands of our clients, we are engaged in providing a qualitative range of Power Factor Control Panel. This panel is used to actualize zero voltage switching of the capacitors. The offered panel is manufactured using premium grade components and ultra-modern technology. The provided panel is thoroughly tested on numerous measures of quality in order to ensure its high performance by our quality experts. Our precious patrons can purchase this panel at market leading prices.